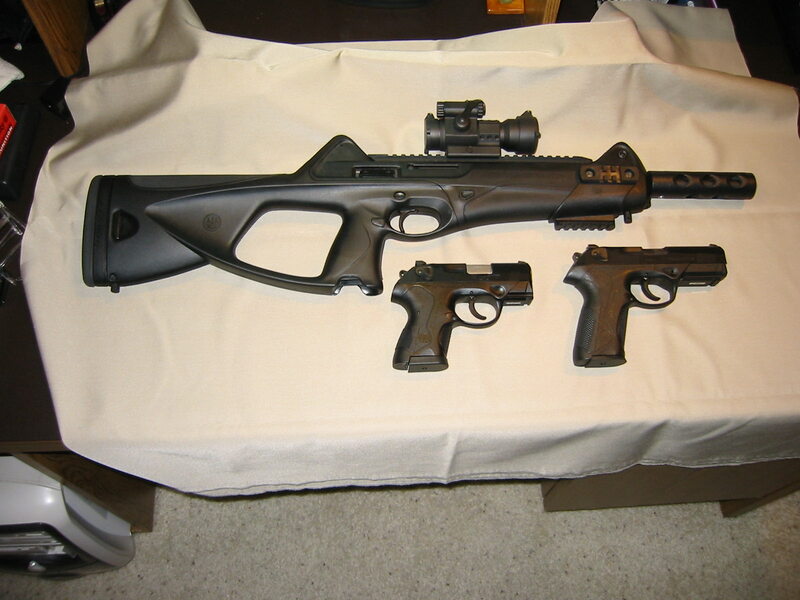 I am pretty partial to my CX4 carbine. It shares mags with my PX4 pistols and with a magwell change it will take my 92FS mags.I have used it in conjunction with my PX4 full size in 2 gun matches and it is accurate out to 100 yards using 115 grain FMJ's loaded to +P specs. How do you like the CX4? I've been thinking about picking one up to go with my B92 & mags, but read a decent amount of not-so-good reviews on berettaforum about folks having reliability and durability issues. ]How do you like the CX4? I've been thinking about picking one up to go with my B92 & mags, but read a decent amount of not-so-good reviews on berettaforum about folks having reliability and durability issues. No complaints at all with mine. If I had a gripe it would be that with my muzzle shroud, stock spacers, red dot and tactical lite/laser on it, it does have some heft. I upgraded the trigger and hammer with a Sierra Papa kit to improve trigger feel and reliability. They also make an upgraded buffer for it as well but so far the OEM one hasn't been an issue. But then again I haven't put thousands of rounds threw it yet. Since I haven't been using it in any PCC matches for a while it is now mainly just my armadillo gun. Thanks for the feedback, time to browse around the Sierra Papa website. My next buy is one of the Scorpion Evo micro pistols. They look like a ton of fun!! One of these is what I really want. Or an MP5 clone. 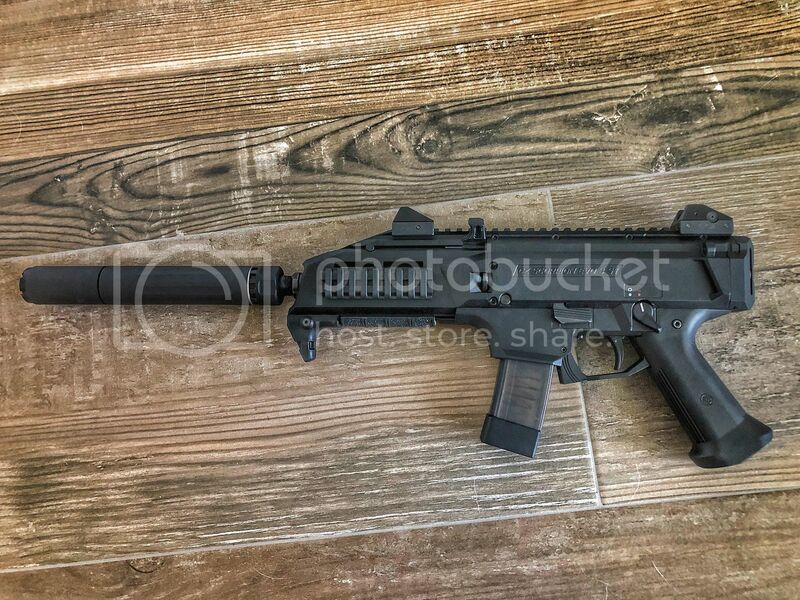 Well the plan to get a Scorpion Micro was halted because I have no self control and stumbled on a smoking deal for a Scorpion Evo pistol. Price was good enough that I can do tons of mods and still not be in micro price range .